Hanoi (VNA) – The ASEAN Women’s Circle of Hanoi (AWCH) and women from the Ministry of Foreign Affairs held a get-together in Hanoi on March 29 on the occasion of International Women’s Day (March 8), gathering female ambassadors, diplomats, and spouses. Organised for the first time by both sides in collaboration with the Gender Equality Coordination Group (GECG) in Hanoi, the event aimed to foster ASEAN solidarity, enhancing cooperation between ASEAN countries and international organisations in the lead up to Vietnam’s assumption of the ASEAN Chair in 2020. Ambassador Nguyen Nguyet Nga, AWCH Honorary Chairwoman and wife of Deputy Prime Minister and Foreign Minister Pham Binh Minh, spoke highly of the event’s initiative to strengthen friendship between Vietnamese and foreign female diplomats, as well as give international friends an insight into Vietnamese culture and arts. Nga wished that female ambassadors, heads of representative offices, and diplomats would continue working closely together and partner with Vietnam in widespread global integration and gender equality promotion. 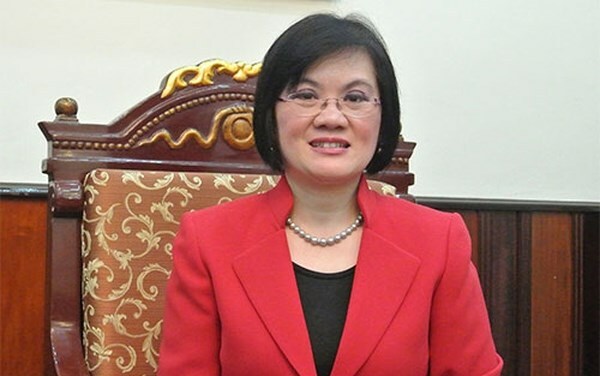 GECG Co-Chairwoman and Spanish Ambassador to Vietnam Maria Jesus Figa Lopez Palop acknowledged the GECG’s efforts in supporting Vietnamese women and pledged to continue helping the country with gender equality promotion in the near future.